Order online now for your summer 2007 games that you can enjoy in your garden, at the park or even on the beach! 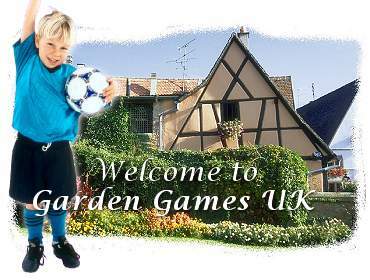 Welcome to www.gardengamesuk.com the company that specialises in outdoor leisure games, and the innovators of Outdoor Darts. To browse our full range of products, use the blue menu bar above and click on the text reading 'PRODUCTS'.